Back to a Coast Guard assault transport comes this Marine after two days and nights of Hell on the beach of Eniwetok in the Marshall Islands. 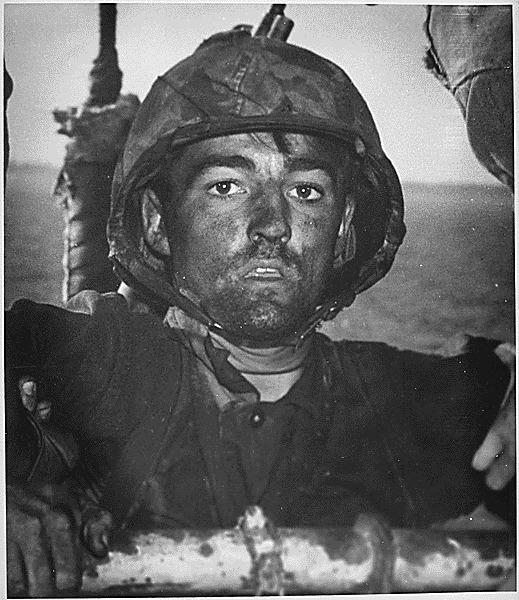 His face is grimey with coral dust but the light of battle stays in his eyes. “Marine suffering from "shell shock" or PTSD,” USU Digital Exhibits, accessed April 20, 2019, http://exhibits.lib.usu.edu/items/show/18751.